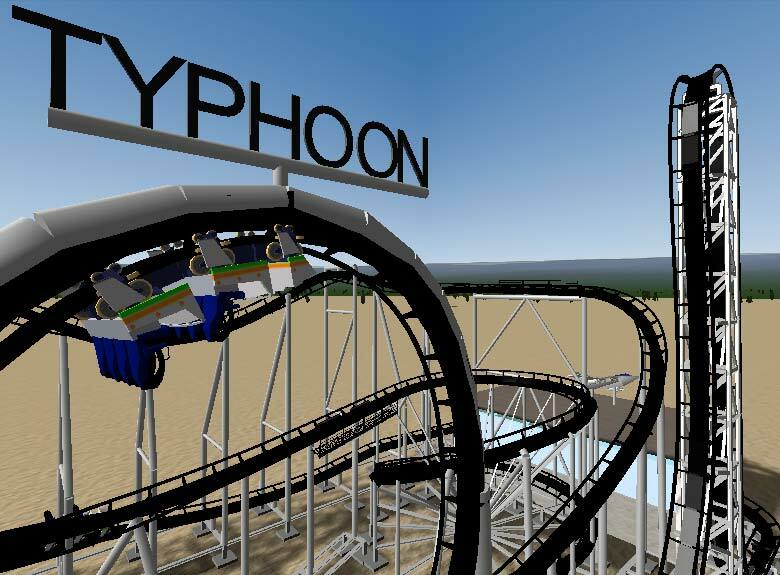 In the upcoming off-season many coaster enthusiasts will have a closer look at the Belgian Bobbejaanland, where Typhoon will be one of 2004´s most spectacular novelties. Coastersandmore.de will exclusively portrait the works with a series of articles - From the first idea to the grand opening. Jacky Schoepen, junior director of Bobbejaanland, was looking for an adequate successor for his 24 year old Schwarzkopf Looping Star for quite a while. 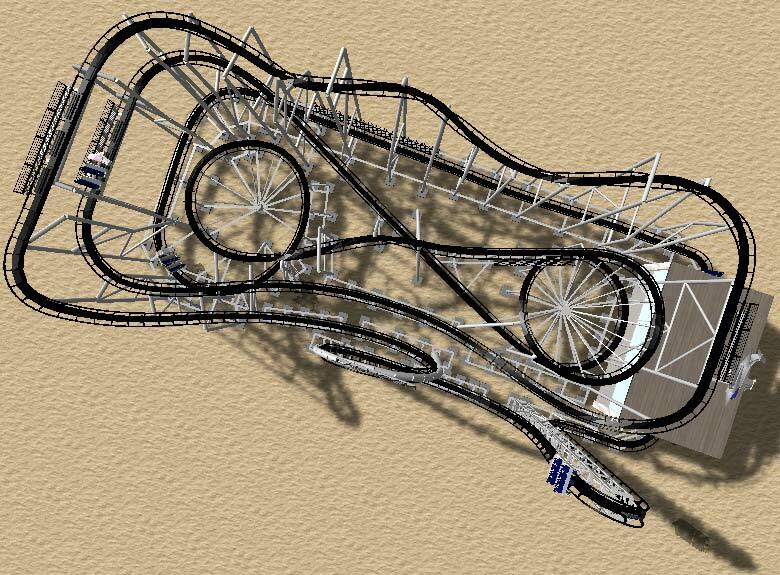 He wanted another looping coaster, but it should be something special. 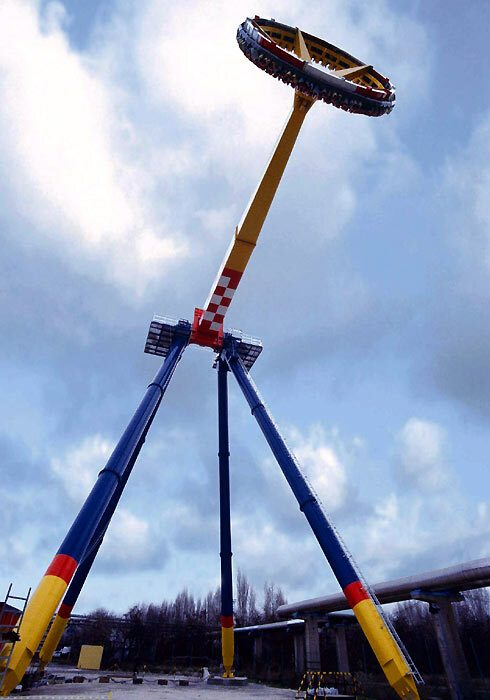 On a tradeshow he saw a model at the booth of the German company Gerstlauer, and the concept with its special kick directly appealed to him: Single cars climb a tower-like structure, pass the top and dive down in an angle of 97 degrees - steeper than vertical! 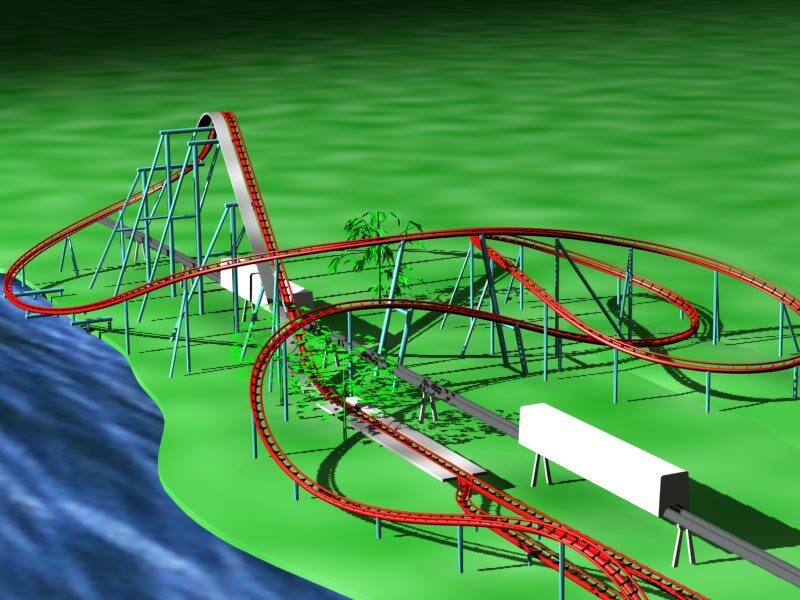 Almost two years later the preparations in the park and at the manufacturer gain speed: Engineers calculate the dynamics, the cars are being built and the track is being bent - The coaster has to be operational on April 3rd, the first day of the 2004 season. In November 2002 the contract was signed, in early 2003 the engineers began with their work and now the project "Typhoon" reaches its final stage. We present Typhoon from a completely different perspective, long before the first cars dive down the 26 meters high tower. During the next months the team Coastersandmore.de will have a close look on the project and give a detailed portrait of the necessary worksteps. Interviews, technical backgrounds and portraits of the persons and companies involved will complete this series of articles. This looping coaster is Gerstlauer´s second delivery of the Euro-Fighter model after the very successfull premiere of Vild Svinet in BonBon Land, Denmark. 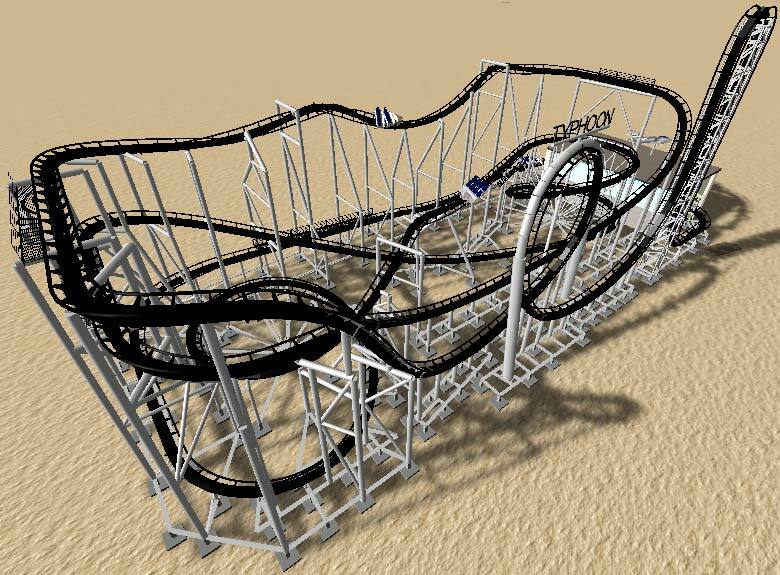 Unlike this coaster the one at Bobbejaanland will have a very compact layout, offering the furious first drop as well as four inversions. 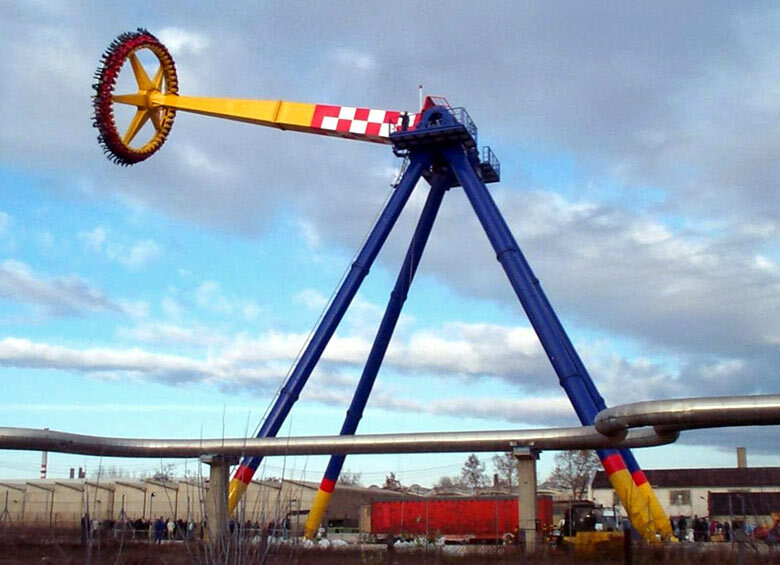 The adrenaline rush starts when the car leaves the station themed in space style, climbing up the impressive vertical lift and going down the 97-degree drop before it negotiates a vertical loop and three heartline-rolls. More information and pictures about Vild Svinet can be found here! Please note that this article is German only. The amusement park in northern Belgium became a big player in the European park scene during the last 32 years. The basis of its success is the mixture of unique attractions and thrill-packed rides: Visitors can anticipate six roller coasters and four water rides in the 2004 season. In addition, the "green" park built around a central lake offers a wide variety of fun for the small ones. 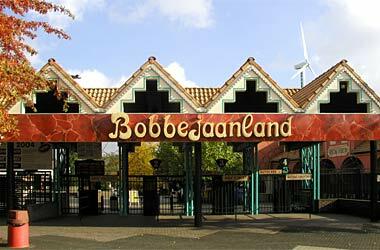 Having opened the first enclosed play area for children in the mid-90s Bobbejaanland can be seen as the inventor of indoor playgrounds. 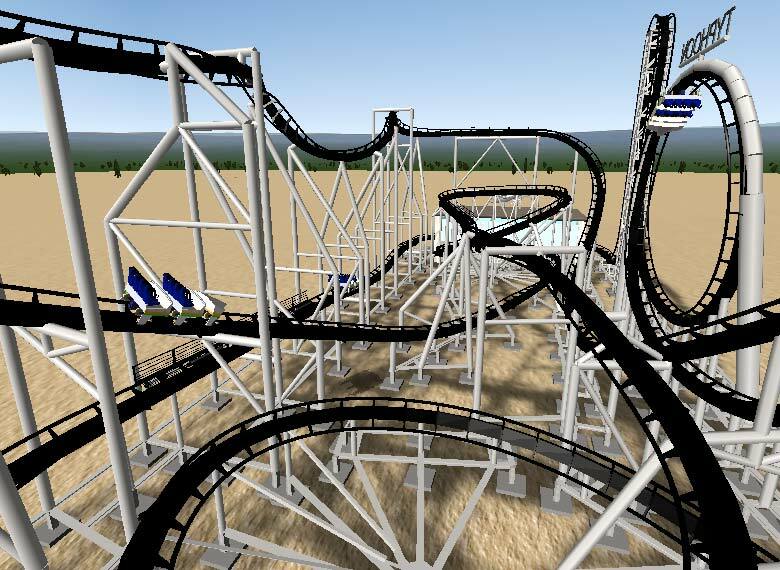 But Typhoon won´t be the only new attraction for 2004. Jacky Schoepen ordered two other rides to suit his visitor´s demands. Oki Doki is a Junior Coaster built by Vekoma from the Netherlands. This completely customized ride makes use of the latest technology and will mainly appeal to children. The Giant Frisbee built by the German company Huss will be another top of the bill ride in continental Europe. Right now this giant swing with the suspended seats only elates visitors in the USA. Not only due to ist sheer size this attraction offers a very special thrill that dwarfes its successfull predecessors by far. The photographs and renderings are copyrighted. Publishing, distribution and copying without written permission is strictly forbidden.